Meet the new and latest addition to the growing ACER Iconia tab family – ACER ICONIA TAB A510. The ACER Iconia Tab A510 also called as “Olympic Game Edition” is their new flagship tablet sporting the latest stable Android 4.0 Ice Cream Sandwich operating system and NVIDIA Tegra 3 Quad Core Mobile Processor. And to make it last longer, it is now using the Super 4-PLUS-1 Quad Core with 5th Battery Saver Core. This is now available in the ACER US online store if you are interested to buy and this is priced at $449.99. The new Acer Iconia Tab A510 was released in celebration of the prestigious 2012 London Olympics hence this tablet was called the “Game Olympic Edition”. And it will be noticeable that you’ll see the five rings at the back which happens to be the Olympics logo. Those rings were not just placed there just because ACER wants it but it symbolizes and represents something more – strength, confidence and possibility. Top 5 Best Android Tablets of 2017 – Which is your best pick? 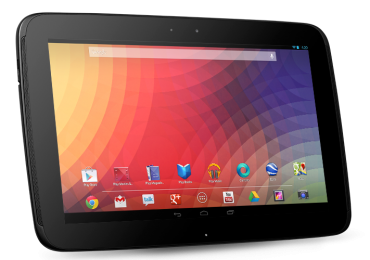 The Acer Iconia Tab A510 is running under Android 4.0 Ice Cream Sandwich (ICS) operating system with a 1.3 GHz quad-core NVIDIA Tegra 3 processor. This ACER tablet also comes with a 32GB internal storage and a 1GB DDR2 memory. Is this not enough space for you? You can still expand it by adding a microSD up to 32GB. It also sports a multi-touch touchscreen with a size of 10.1 inches HD (high definition) screen display. 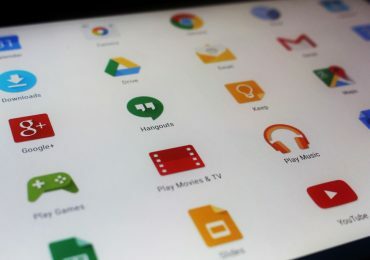 With the Acer Iconia Tab A510’s top speed, latest Android operating system, and HD display I know that you will enjoy surfing the Internet while you connect your tablet with Wi-Fi hotspots. You can also share information with this tablet’s Bluetooth 2.1 embedded device. Of course, Face Unlock won’t be enjoyable if there’s no front-facing camera – Acer Iconia Tab A510 also have a 5MP with auto-focus rear facing camera and an 1MP front facing HD camera. You can also connect this tablet with its micro USB 2.0 port and there’s one micro-HDMI out port. Availability of color is black as of the moment and there’s no indication if ACER will manufacture a white version or any other colors for this matter. Unfortunately, Acer Iconia Tab A510 is currently available in the US market – for now. And if you are interested in buying one for yourself, shipment is only eligible within the United States. You have to coordinate and talk with your local ACER retailer for a possible availability of this tablet. For more information, check out ACER’s official online store in the US – ACER US Online Store.